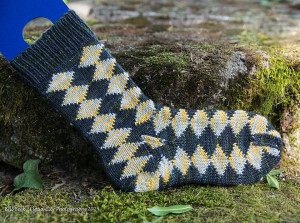 Now that “Annetarsia Knits” is out in the world, I’m hoping that some knitters will be ready to walk on the wild side with me. So I am pulling out some projects that were a bit too much for the book, and finishing them up. 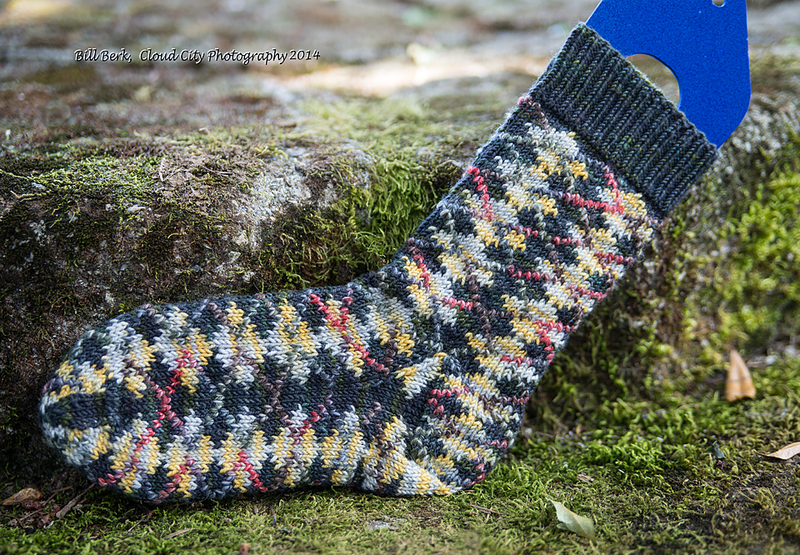 The mate to my Ultimate Argyle sock came off the needles a few days ago. Then, as usual, I got caught up in other things and just realized that I didn’t share the results with you. The knitting was very easy through the leg and the heel flap. 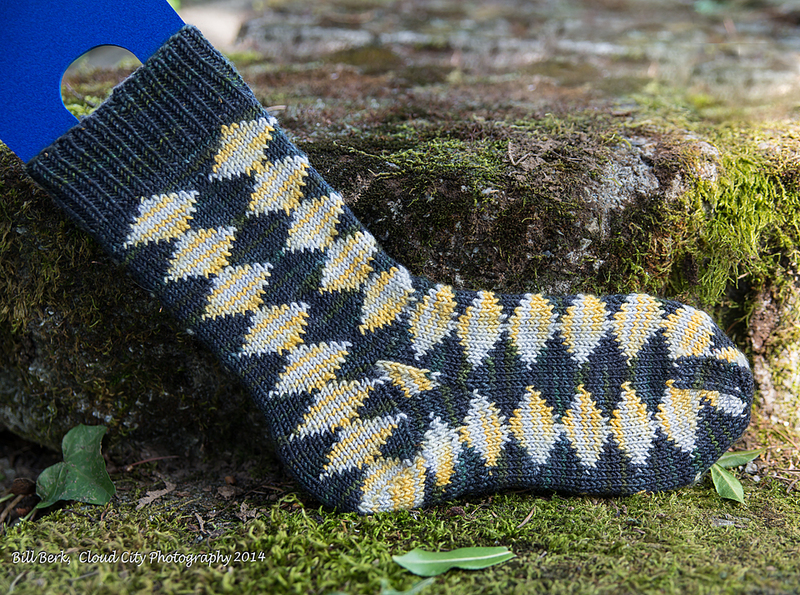 The trickiest part of this sock is knitting the gusset, and making all of the diamonds line up correctly, over the picked up sts alongside the heel flap. While I was knitting, I was working on getting the chart for this section completely correct, and that took a lot of concentration. After it was all done, and perfect, I changed my mind on how to lay it out, and re-did it. 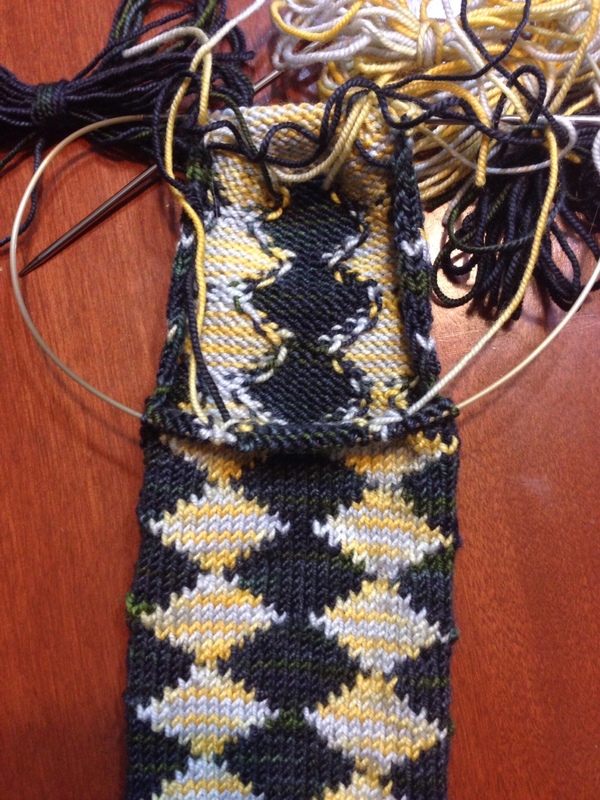 The chart took twice as long as the knitting, but once I had that done, the chart for the 2nd size went smoothly. Whew. 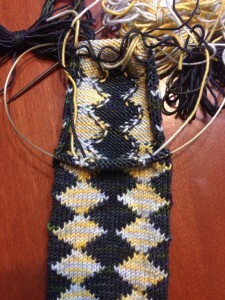 I won’t blame knitters if they skip the gusset chart and knit that section plain. But it sure looks good, when finished. 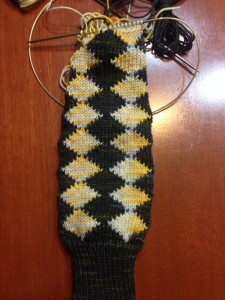 The sock looks really different before adding the accent lines with duplicate stitch. The Accent lines pull everything together and will disguise a lot of “detours”, so people don’t really have to worry very much about getting every stitch just right. But when you do, it is a beautiful sock, in its own right. I want us all to send some love and strength to Tina Newton, who inspired this sock. She is having some health issues, right now, and it isn’t easy for her to rest. But, I know you can do it, Tina! Love you! All I can say is…WOW!!! !